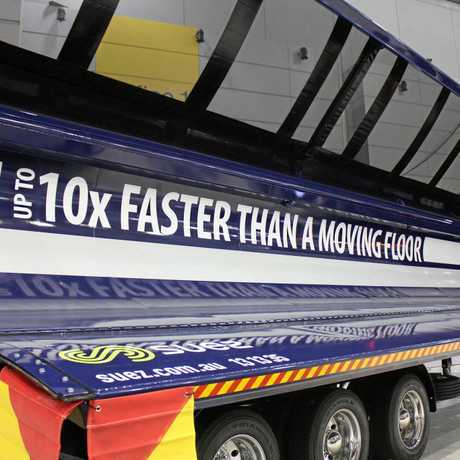 EFFICIENCY is central to any business, and was also central to the philosophy and display presented by MaxiTRANS at the Brisbane Truck show. With all of its six equipment brands - Freighter, Maxi-CUBE, Hamelex White, Lusty EMS, Azmeb and Peki - featured in the display, the company highlighted the efficiency gains its products had to offer. Each of the products on display spoke to the efficiency theme, with the major releases being the next generation Maxi-CUBE van and Peki truck body models. Also on display were the new Freighter T-Liner Mark II released in August last year, a Hamelex White PBS Dog Tipper with 'Landslide', and an AZMEB High Volume Side Tipper. "Our engineers conducted a thorough Finite Element Analysis on the design, which highlights the strength and flexibility of the chassis construction,” said Kevin. 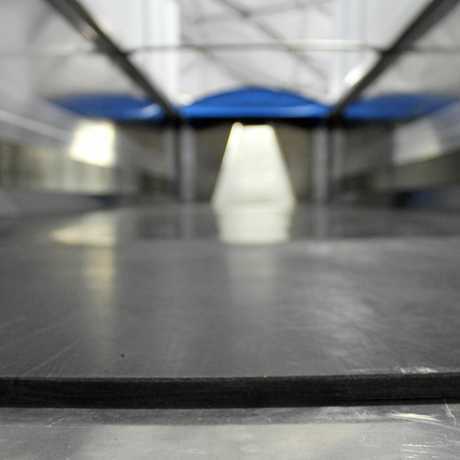 The AZMEB HVST unloads up to 10x faster than a moving floor. Installed inside the Dog Tipper was MaxiTRANS' new proprietary tipper liner, named 'Landslide'. "This is the first tipper liner in Australia sold directly from the trailer manufacturer,” said Kevin. Landslide offers customers that use end tippers the possibility to reduce tip angle by up to 30%. This reduction allows a reduction of the show trailer's centre of gravity by 855mm, providing a safer, more stable tipping platform. Furthermore, by discharging product sooner, the overall height of the unit is lowered, making it less likely to experience overhead power line strikes. It also means that in certain situations an entire stage can be removed from the hoist. "Landslide is affixed using a unique method which removes the need for rivets, meaning there are fewer catch points on the inside of the tub for better product discharge,” Kevin stated. Further products on display were a Lusty EMS Drop Deck Tipper, featuring a new curved wall design for greater durability and a streamlined new tailgate, as well as an AZMEB High Volume Side Tipper, which MaxiTRANS says can unload up to ten times faster than a moving floor trailer. The company also displayed its CS and AirMAX proprietary suspensions. 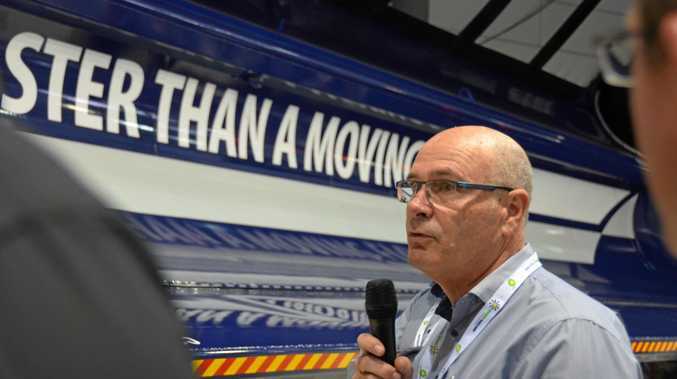 In total, over 15 new products and innovations were announced by MaxiTRANS on day one of Brisbane Truck Show. "Today's announcements highlight MaxiTRANS' commitment to helping our customers improve their efficiency in their day to day operations,” said Kevin. "Coupled with our focus on quality and safety, we aim to once again raise the standard of trailer manufacturing in Australia,” Kevin Said.